Demographic change in a globalized world raises not only social and economic issues but also ethical problems within the medical system of aging societies. Medical care for elderly people cannot be conceptualized and organized without considering a cultural understanding of aging and the economic and social circumstances of a given society. In this regard this conference will focus on ethical, historical and epidemiological perspectives of aging in a global world. Further subjects of the conference are the beginning of life and sexually transmitted diseases, which will also be discussed from an interdisciplinary perspective. This conference will focus on selected cases from Turkey, Germany, and other countries closely connected by substantial migration processes, as they had been earlier through medical scientific exchanges and common clinical practice. After the well received first round held in Germany (Mainz) in 2010, the aim of the Istanbul conference is to establish a discussion platform for different ethical considerations among historically connected countries. On 17 September 2012, the second workshop will be held at the new Besikcizade Medical Humanities Center (Beşikçizade Tıp ve İnsani Bilimler Merkezi, BETİM), launched by hayatvakfı (http://www.hayatvakfi.org.tr/ ). Prof. Dr. Hans-Martin Sass (USA/Germany) will lead a one-day workshop on the topic ‘Clinical Ethics · Concepts, Problems and Challenges’ from 9.15am to 4pm. In parallel with the scientific developments in modern medicine we observe an increase in the number of ethical problems arising in medical practice. Solving these problems has become a complex task. Especially in the last 20 years, clinical ethics has come to the fore as an academic discipline addressing these issues. In this workshop, world-renowned philosopher Hans Martin Sass will first outline the historical development of clinical ethics in the Western world and then discuss ethical decision making in clinical everyday life and its challenges. Subsequently, he will introduce the Bochum Working Paper, which he himself developed as a tool for solving medical ethical problems. Finally, his concept will be analyzed in its application to interesting and complex clinical cases. Prof. Dr. Hans-Marin Sass is a Founding Member of the Zentrum für Medizinische Ethik (Center for Medical Ethics) at Ruhr University, Bochum, Germany, and Emeritus Senior Research Scholar at the Kennedy Institute of Ethics at Georgetown University, Washington DC, USA, as well as Honorary Professor at Peking Union Medical College in Beijing, China, and Academic Fellow at the Potomac Institute for Policy Studies. He read philosophy and religious studies in Erlangen, Marburg and Münster, Germany. He earned his PhD 1962 at Münster University with a thesis on Hegel’s Philosophy of Religion. Having published widely on Hegel, Marx, and Heidegger, for the last 30 years Sass has focused on Political Philosophy and Applied Ethics. Workshop languages are Turkish and English (with simultaneous translation provided). 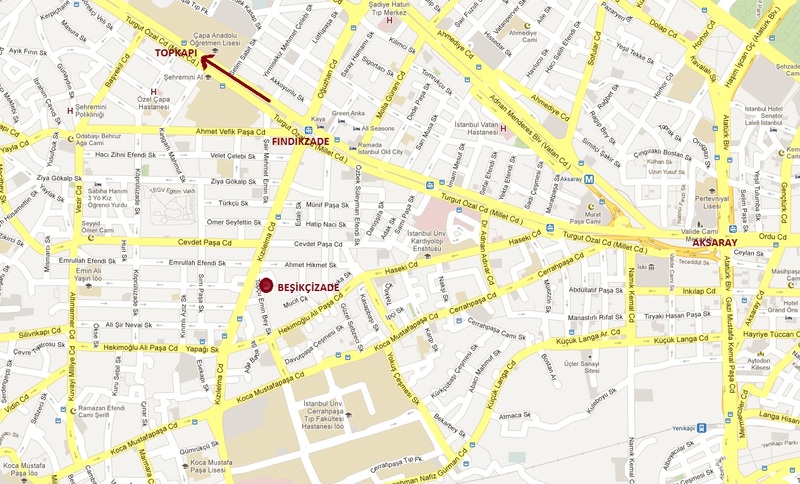 On 11 September 2012, the first ever event will be held at the new Besikcizade Medical Humanities Center (Beşikçizade Tıp ve İnsani Bilimler Merkezi, BETİM), launched by hayatvakfı (http://www.hayatvakfi.org.tr/ ). Prof. Dr. Werner Kümmel from Mainz University Medical Center (Germany) will lead a one-day workshop on the topic ‘Medicine and National Socialism’ from 9.15am to 3.30pm. Workshop languages are Turkish and German (with simultaneous translation provided). In commemoration of the 1600th anniversary of the birth in Constantinople of Proclus, fourth last head of the Platonic Academy, we invite scholars to present papers both on all aspects both of Proclus’ own thought and of his reception in the Abrahamic traditions. 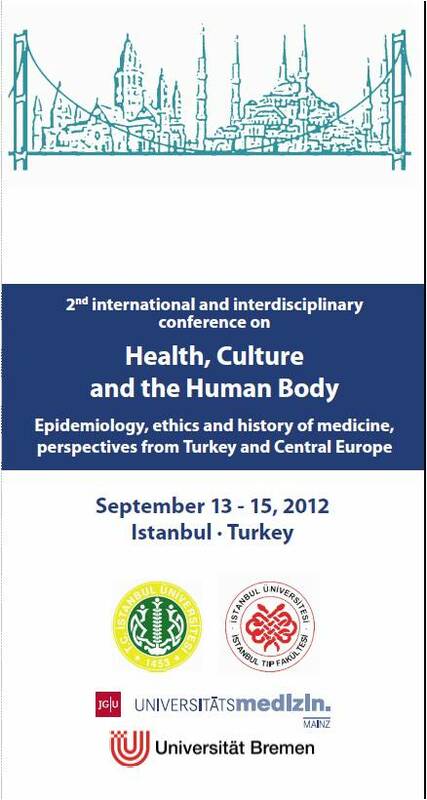 The conference will be hosted by Fatih University and Yildiz University (Istanbul) from December 12-16, 2012 in Istanbul. Prof. Carlos Steel (K.U. Leuven) will give the keynote lecture for the entire conference. There will be three plenary lectures: Prof. Wayne J. Hankey (Dalhousie University / University of King’s College (Halifax)) on the Christian reception; Prof. Richard C. Taylor (Marquette University; visiting professor at K.U. Leuven & Universidad Panamericana) on the Islamic reception; and Prof. Tzvi Langermann (Bar-Ilan University) on Jewish reception. Prof. D. O’Meara (Universität Freiburg) will give a public lecture on Proclus’ influence on the architecture of the Haggia Sophia, together with a choral concert of sacred music by the chamber choir, ChorISTanbul. A conference outing will be planned for Sunday, December 16. Papers will be 20-25 minutes long, although there may be some flexibility given some merit. Please submit an abstract of approximately 300-500 words by Friday, September 14, 2012 to David Butorac at Proclusinistanbul@gmail.com, with letters of acceptance issued by Monday, September 17. Additional conference funding will be sought through TÜBİTAK (The Scientific and Technological Research Council of Turkey). In this paper, I analyze the relationship between ethics and politics in Plato’s thought in order to demonstrate that Plato understood this relationship to be characterized by an ineradicable element of agonism and instability. Drawing upon texts such as the Apology, Alcibiades I, Gorgias, and Symposium, as well as upon Foucault’s late works, I take the epimeleia heautou, “the care of the self,” as the organizing theme of my analysis, in order to show that this agonism has the aporetic result that, though Plato conceived of the ethics of the care both of oneself and others as the truest form of statesmanship, he was nevertheless unwilling or unable to generalize it into an unproblematic political system. Abstract: It is common in both scientific and humanistic disciplines to claim that biological evolutionary rates in modern humans are significantly impeded if not totally negated by the robust cultural and technological capabilities of the human species. I call this the ‘human evolutionary equilibrium argument’. The aim of this talk is to make sense of and evaluate this claim. I first develop the argument that humans are ‘insulated’ from ordinary evolutionary mechanisms in terms of our contemporary biological understandings of phenotypic plasticity, niche construction, and cultural transmission. I then consider two obvious objections to the human evolutionary equilibrium argument based on the growing literatures related to gene-culture coevolution and recent positive selection on the human genome, and I offer a pair of less common objections relating to the connection between plasticity, population size and evolvability. Finally, I argue that the human evolutionary equilibrium argument is premised on a fundamental conceptual flaw: namely, it takes biological stasis for granted. I conclude that biological evolution is a permanent and ineradicable fixture of any species, Homo sapiens included. My approach in this monograph could easily be classified as part of the currently burgeoning “embodied mind” school or trend in contemporary philosophy of mind and cognitive science. Where it differs from most other works in this field is, I would say, in that (a) it offers a somewhat more focused view of embodiment via offering a conceptual role to the PNS as such in analyzing mental phenomena rather than keeping the discourse at the level of notions like “body” or “action”, (b) it interprets the idea of the embodied mind not as most other philosophers, namely, representationally, as the body in the mind , but literally, namely, the mind as truly distributed over the body (in this sense, viz. of distinguishing it from most other popular approaches, I would rather call my approach “enminded body” than “embodied mind”), and (c) it relies a lot more on first-personal, phenomenological reflection when evaluating various theories about how things stand with the mind, without ending up in purely a priori conceptual analysis, but taking a lot of inspiration from empirical science (almost exclusively from neuroscience). Although most arguments I offer, and even the problems I raise in the book are, to my knowledge, new, the general points enumerated above, (a) to (c) are not totally absent from the current literature. I would especially like to express my intellectual debt to Shaun Gallagher’s work, whose methodology and general approach to various issues was a great inspiration, even if the particular issues and debates he has been involved with are not present in this work.